You don’t know how it happened but all of a sudden you realize that your relationship is on autopilot. Where did the passion go? Where did your connection go? You love your partner and you feel like you still have a good relationship, but where did your great relationship go? Fortunately, it’s possible to improve your relationship. If you want to improve your relationship, you have to start paying attention. Let me tell you what I mean. As human beings, we have an amazing ability to tune things out. Our brains have so much information to sort through that they filter out the vast majority of the information that comes in. Have you ever noticed how quickly you become used to things? When you step outside on a hot day, your brain immediately says, “Wow, it’s hot.” Soon, however, you get used to it. It is still just as hot outside, but you’re no longer paying attention to it. It is the same with regard to your relationship. Just like the hot day, your partner is still there. But because you have so much else to focus on and pay attention to, it is easy to tune your partner out. There are always emails to respond to and deadlines to meet. There are tv shows to watch. With all the distractions of life, it’s easy to not be present to your partner and to your love. In order to improve your relationship and strengthen your connection with your partner, you need to be present. What does it mean to be present. Being present means being fully engaged in the present moment. When you are present, you feel your emotions and you feel your body. By being open to feeling emotion, we open ourselves to feeling the powerful feelings of love. We also open ourselves to feeling other emotions of sadness and anger as well. There is a strong desire in our society to avoid pain and emotions that we associate with pain. We numb ourselves with distractions like tv and surfing the internet. We also numb ourselves using food. Think about how sluggish you feel after a big meal. It makes it difficult to feel powerful emotions. When you numb yourself to negative emotions, you also numb yourself to positive emotions. There is no filter that only allows positive emotions through. If you want to improve your relationship with your partner, you need to be able to feel joy and sorrow. 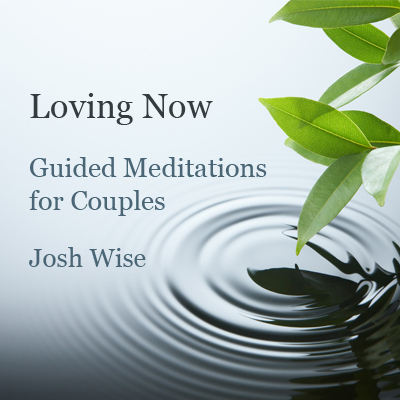 Mindfulness can help you improve your relationship because it opens you up to feeling. Mindfulness meditation is a system of training your mind to be in touch with the sensations and emotions that you are feeling in this present moment. As you awaken to this present moment, you begin to recognize just how precious this present moment is. As you begin to experience the present moment, you are more in touch with how you are feeling and what you are needing. Knowing what you need is an important part of improving your relationship. If you know what you need, then you can ask for it. So you’re ready to get in touch with how you feel and what you need? 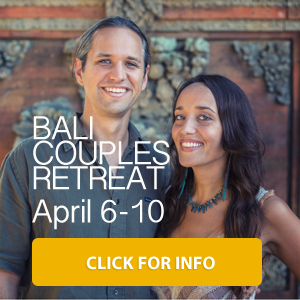 You’re ready to improve your relationship and grow closer to your partner? Cool. Here are some tips for mindfulness meditation. The key to mindfulness meditation is setting an intention of acceptance. What I’m trying to say is that when you begin a mindfulness meditation exercise, it is important to go into it without trying to force anything. If you try to force relaxation or great feelings of bliss, it might not work. As you begin a mindfulness meditation practice because you want to improve your relationship, approach your practice as a way to get in touch with the present moment–whatever that might be. If feelings of sadness arise, you will be present to sadness. If feelings of joy arise, you will be present to joy. Mindfulness meditation is about being a witness to your inner experience. Don’t force anything. Just watch and breathe. One of the most powerful tools in a mindful practice is to tune in with your breath. Your breath is always with you. It’s right under your nose. It is the key to accessing this present moment. Just feel your breath. As you sit with your breath, your mind will wander. Your mind likes to wander. It wants to remind you of all the other things that you have to do. Gently remind your mind to come back to your breath. This is your opportunity to improve your relationship with your mind and with yourself. Take control of your mind. Gently and patiently continue to return your focus to your breath. Over time, you will learn to be more present. Being present to your breath will train you to be present to your relationship. Over time you will learn to feel your emotions as they arise and you will be able to sit with them without wanting to dull them. Being receptive to how you feel, will enable to you to build your feelings of love for your partner. You will be present as you work to improve your relationship.